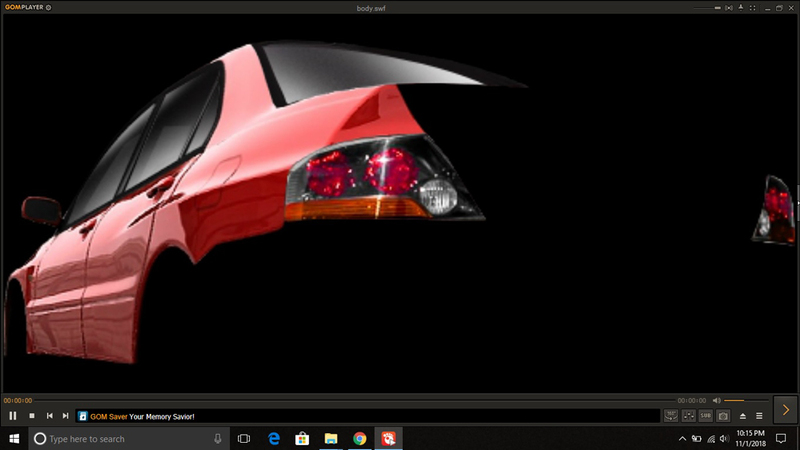 I wanted Models&Textures of few cars from PC game Nitto 1320 Legends. I downloaded this game and thought of using Ninja Ripper but this game being an online one was shutdown long time ago so I can't run it. I had a look at the files and what I came to know is that the models&textures too maybe are in .swf format...If I open them with Gom Player which is opened automatically due to being .swf files then this is what I saw...I have opened body.swf file. Looks like a model but just in another format...Can't seem to figure out how to convert it into another format. Have attached a sample body.swf file. So any help would be much appreciated. I don't think so. Looks like just a picture in an swf files. There were tools to extract pics from swf, swfextract for example, iirc. I might be possible that these .swf files contain both the textures and models files...and I can't seem to find the swfextract. i tried that way but no lead in getting assets.